Gan Ban Yoku (Hot Stone Spa) is a specialty of Japanese bathing culture. Essentially, it is bathing without water, simply by lying on specially selected and heated SGE stones in a sauna-like room. Infrared rays help to heat your body on the inside, including your internal organs. Negative ions help to restore your body’s cells back to a healthy condition.They can also encourage sweat to form in small droplets. 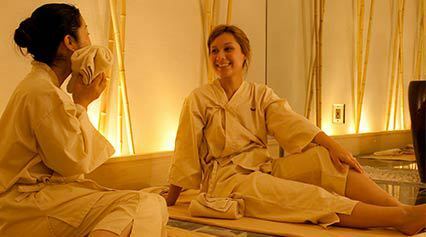 the price includes Gan Ban Yoku (Hot Stone Spa) (60 minutes), Dry Sauna, Jacuzzi, and Shower. 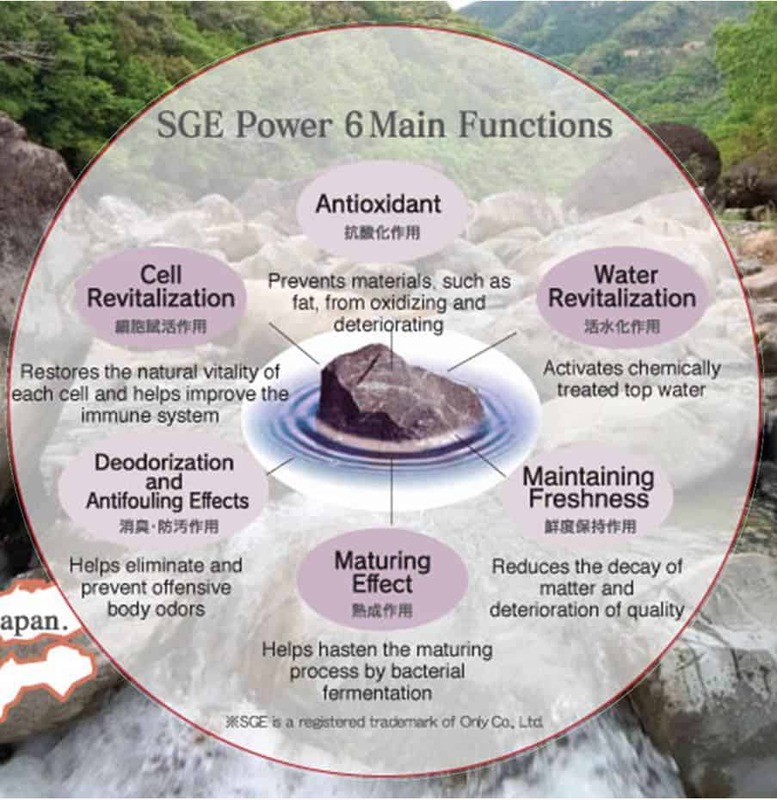 Refresh yourself with the power of SGE stones. The SGE stone we use at spa Relaken is a rare natural mineral ore from the mountainous area of Kyushu, Japan, rich in 20 different minerals. The stone emits high-speed infrared rays as well as negative ions, often used in medical facilities. The basic system is simple: far-infrared effects from naturally heated mineral ores promote perspiration, enabling the body to detoxify itself for a refreshed feeling. Room Temperature 43c (109f ) Stone temperature : approximately 50c (122 f ) This carefully monitored environment, your body begin to perspire quickly. Natural Mineral SGE stone SGE anturally sourced stone emits hight speed infrared rays as well as negative icons. The stone is rich in 20 different kinds of minerals which helps detox your body cell. Sourced from the same area as the stone, this natural spring water is ideal for replenishing your body's moisture. You may be surprised by the amount of sweat you produce. Eventually you may notice your sweat becomes scentless and watery, and your skin will feel smoother. This is one of the major benefits of "gan ban yoku." If you come in before 2 pm, you can take Hot Stone Spa for only $35 per person. If you are planing to come with your friends, now we offer group discount. For 3 people, only $35 per person. For 4 people and more, only $30 per person. If you love our Gan Ban Yoku(Hot Stone Spa) and would like to come Relaken often, buy our advance tickets and save your time and money!